Disclaimer: This post may contain affiliate links. 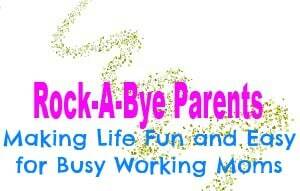 The use of these links help support the Rock-A-Bye Parents site and our family. Thank you for your support. I had never heard of The Happiest Baby on the Block until I was in my third trimester. My doctor’s office required all expectant parents to attend a third trimester class that was lead by a nurse. One of the things the nurse talked about was The Happiest Baby way and the classes for it that were offered. It sounded very interesting and helpful, but it was a bit of a drive from where we lived, and having just moved we didn’t have much extra cash lying around, so I didn’t pursue it. I didn’t even think about it again until Nick was born. In the hospital the nurses laughed about the fact that Nick seemed to be the textbook example of a Happiest Baby on the Block, and that never changed. We swaddled him until he was too big for it, for the first six months he refused to sleep anywhere but in one of his swings (with it swinging of course), he still uses his Sleep Sheep for white noise, and Heaven help us if we find ourselves with out a pacifier. When One2One offered me a chance to review the newest book by Dr. Harvey Karp, MD (The Happiest Baby Guide to Great Sleep) I jumped at it. I don’t like to brag (OK maybe just a little bit), but Nick has always been a really good sleeper. By five weeks old he was easily sleeping from about ten to seven and would only wake up once for a feeding around midnight. His great sleep wasn’t a fluke either. Of course he had the bad nights when he was sick or teething, but Nick was a good sleeper. The kid has spoiled me in so many ways. What I found from reading this book is that the reason he was such a good sleeper was because Jason and I did a great job of sleep training him. 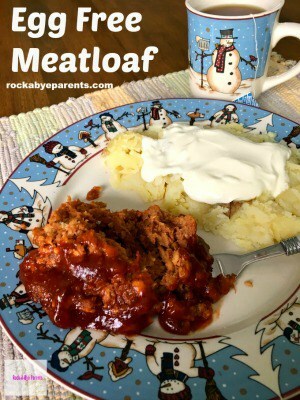 Almost everything we did goes hand in hand with the suggestions made in this book! The book is set up so that you can jump to the section that your little one is in (0-3 months, 3-12 months, and 1-5 years). Even though the first two sections no longer effected me I wanted to read the whole book, and I am so glad I did because I have learned a lot. Not only about Nick’s sleep, but about mine as well. I honestly enjoyed the book so much that I had a hard time putting it down because it was so interesting. There were many parts that taught me a lot, but one part blew my mind. I the book Dr. Karp points out that you’ll have an easier time getting your little one to sleep when you understand their personality type. He then describes the different types, and he describes them for each age range. For a very long time I have described Nick as cautious. He’s always been the type of kid that pays attention and works things out before he does something, and cautious is the best way to describe it. Dr. Karp has a description for cautious kids and it was Nick exactly. Honestly it was as if they had studies Nick and then described him because it was that on the money. If I didn’t already respect Dr. Karp’s opinions that would have been all it took. To know my little guy’s personality that well proves to me that he knows exactly what he’s talking about. I didn’t have this book when Nick was an infant, but we did almost exactly what Dr. Karp suggests and I’m here to tell you it works. When I would tell people that my infant was sleeping through the night a lot of them would be shocked and say that their preschooler wasn’t even sleeping through the night. As the mother of an almost two year old I want to slump over in exhaustion just from the thought! We’re in a bit of a sleep conundrum now as Nick is sadly starting to slowly give up naps. His behavior is exactly what Dr. Karp says you’ll see when they start giving them up too. My little boy is truly growing up. Dr. Harvey Karp made doctors applaud and parents cheer with his brilliant solutions to centuries-old problems such as colic and tantrums. 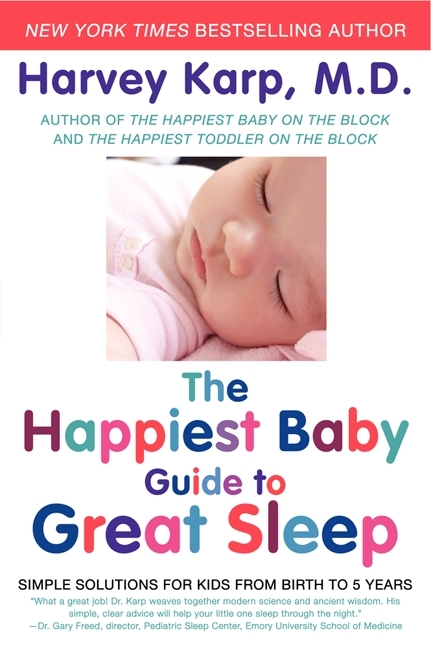 Now, in THE HAPPIEST BABY GUIDE TO GREAT SLEEP: Simple Solutions for Kids from Birth to 5 Years (William Morrow Paperback; On-Sale: March 19, 2013; $15.99; ISBN: 9780062113320), Dr. Karp stuns the world again by solving the #1 problem plaguing new parents: exhaustion. Glad to hear about this. My boys were always great sleeps. My little girl has been waking a few times a night still. Looking forward to picking up. Thanks for posting this- I’m definitely going to get a copy. My youngest daughter is two and she usually only sleeps well if my husband or I are sleeping in the same bed or same room. Our biggest problem though is that for the past couple months she’s had numerous nightmares and night terrors. It breaks my heart when it happens, and I have no idea how to stop them. I’ve tried everything I can think of but nothing has helped. I’m hoping the book will address this, as well as how to get her ready to sleep in her big sister’s room instead of near or with us. Thanks again for sharing this book! I’m trying to remember if it mentioned night terrors. I think it does. Nick used to get night terrors. They really are the worst. The important thing to remember is to not wake them up when they are happening. If it makes you feel better know that while they are hard for you to handle the little ones don’t remember them the next day. This is great! More sleep is always good for the babies! It’s good for Mommy and Daddy too :-). I needed this when my son was little! Like, really needed it! I read that book when I was pregnant! I LOVED it! It worked well! My son is still a good sleeper and he is 5! Well worth getting it! I wish I had that book when my daughter was a baby! So nice to know that his advice proved to be so helpful and so accurate, even now! Best book ever! I watched the DVD and it helped so much. You have NO IDEA how much I could have used this book when my daughter was a baby (and toddler). She just would not sleep. At all. I will definitely remember this book for friends of mine with babies! I may have to buy this book. Our kids slept pretty well as babies – but now my 3-year-old is waking up at night and coming into our room. Are there any good tips in the book for dealing with this issue? It does discuss that. 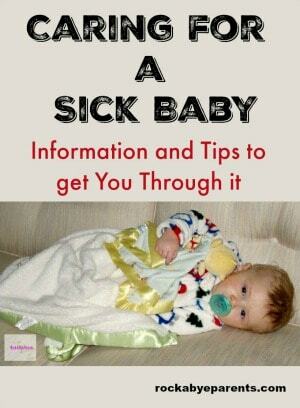 Dr. Karp says you need to first figure out the reason that your little one is waking up. He lists a lot of different reasons, and then he gives suggestions for all of the different problems. 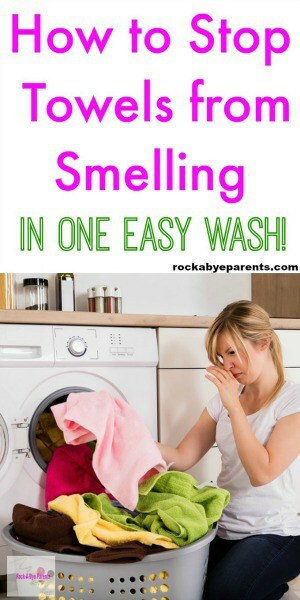 His books are so helpful when you have little ones! Thanks!